Below you will find a map of all the current Hudson River lighthouses (marked in blue) as well as all known "lost" lighthouses (marked in yellow - more coming soon!). This Google Map may be used to find directions to each lighthouse as well. The map below (courtesy the National Park Service) was included in the 1876 Annual Report of the Lighthouse Board. 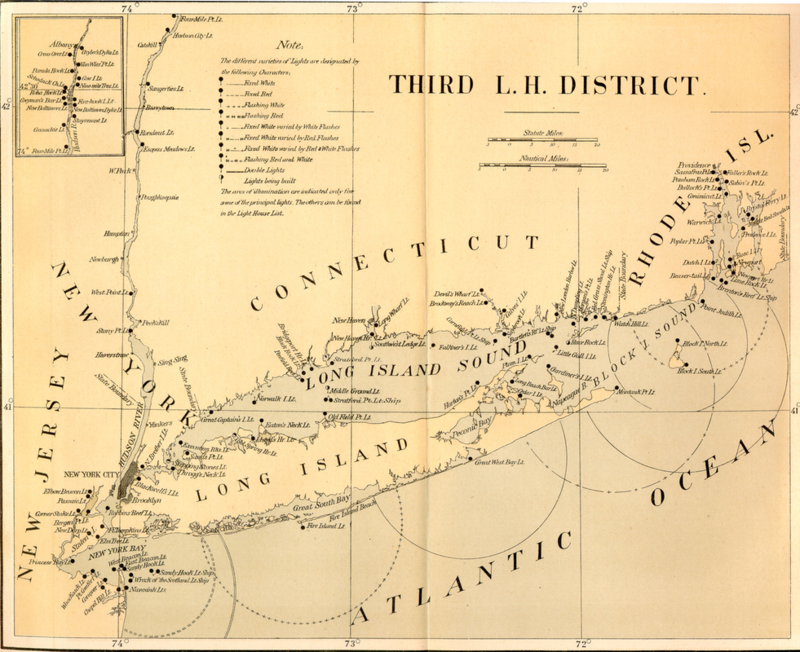 The Third Lighthouse District includes the Hudson River and this map has been the basis for the discovery of many a "lost" lighthouse, although not all of them are on this map.